Spring is coming. 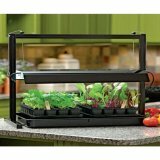 Get your seeds now and save money! 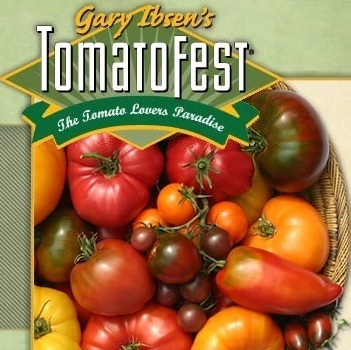 Choose from more than 350 favorite heirloom tomato varieties and tomato seed collections – up to 50% off regular retail prices during this once-a-year sale at TomatoFest. Tomato seeds will last 3-5 years! And TomatoFest guarantees its seeds. Visit the TomatoFest store now to get best selection before the rest of the gardening world starts buying seeds. 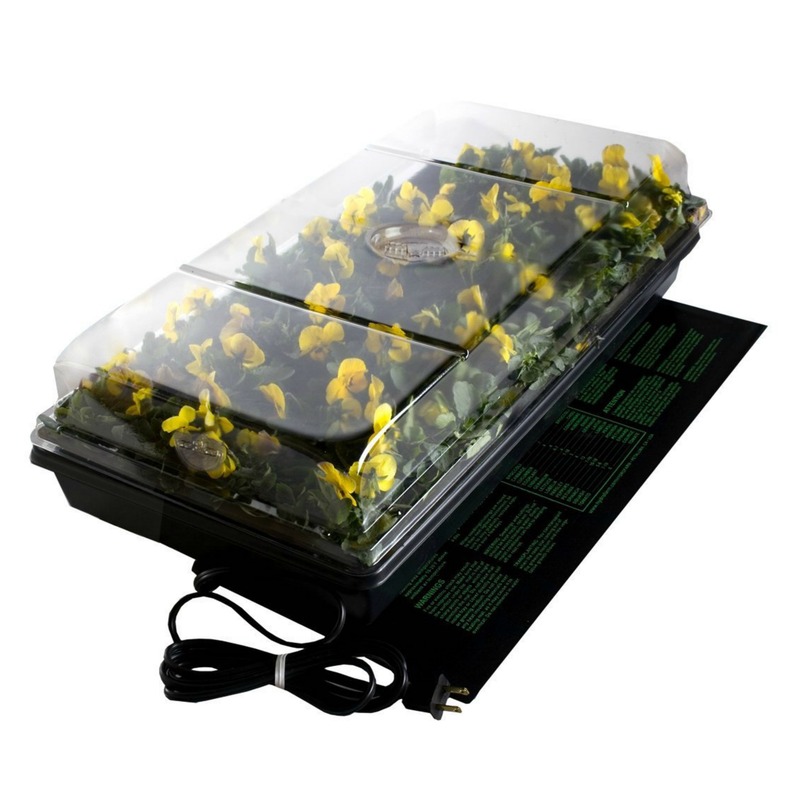 A grow light structure is a stand from which lights are suspended and under which plants are set. Its shelves hold seedling trays. Arms or sides support the light ballast. 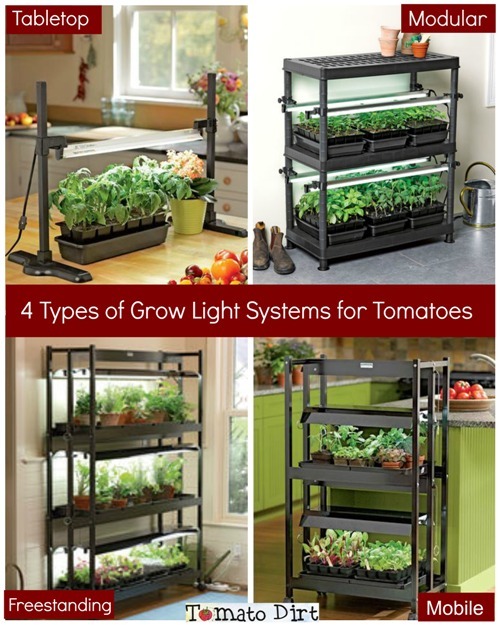 Choose from these 4 types of grow light structures when you’re growing tomatoes from seed. 2. Freestanding Structures . 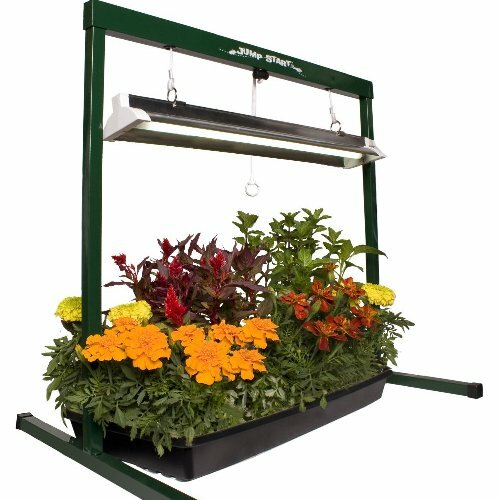 Freestanding grow lights units are available in all sizes, from compact units to multiple shelving units. Some freestanding structures are on wheels so you can move them easily. 3. Modular Units. A modular unit allows you to start with just one shelf and light to use now and then add units vertically to multiply your growing space. This is a practical way to get started with growing your own tomatoes from seeds. In most cases, a modular unit is easy to take apart and store compactly during the off-season. 4. Shelving. One popular way to make an inexpensive light shelf is to use a simple shelving unit from a discount home improvement store or online. You can hang fluorescent shop lights from shelf undersides of the shelves with wire, chain, or rope. 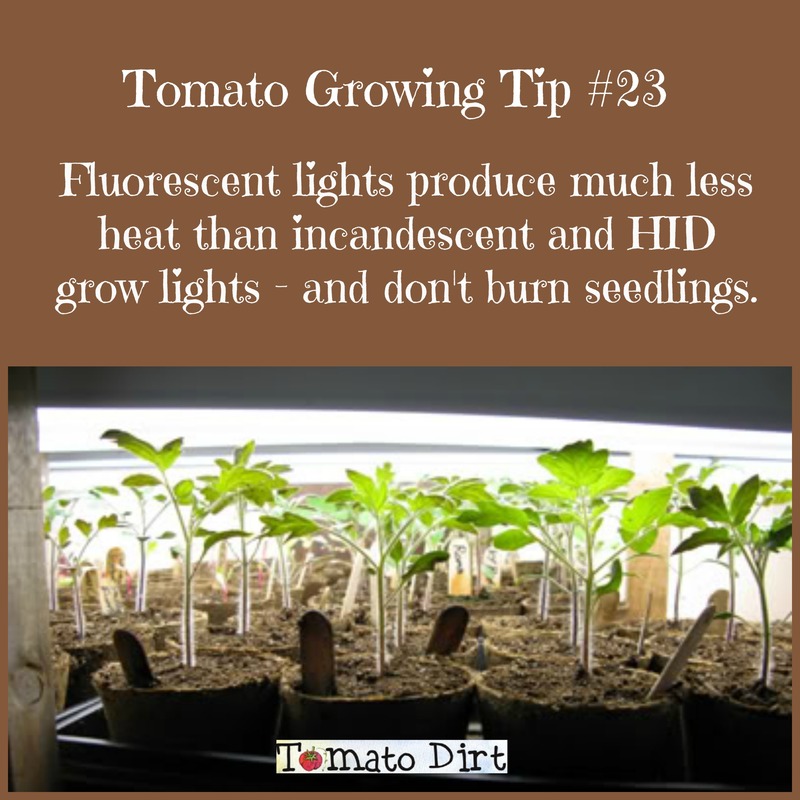 Read more about choosing a grow light system for starting tomato seeds … and check out terrific tomato grow lights systems on our Tomato Grow Lights Pinterest board.